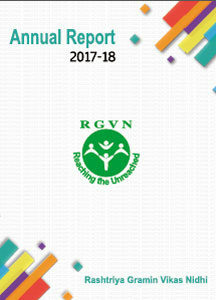 Institution Building is a major concern for RGVN. It implies graduating grassroots level initiatives and peoples’ collectives into a proper legal status. A comprehensive support is extended in the form of need assessment, capacity development and strategic business planning development. Enriched with the experience of nurturing, molding and bringing into existence a Non Banking Finance Corporation (NBFC) in North East India and a Cooperative Society in Odisha, RGVN is in a position to replicate such experiences. RGVN promoted, developed and nurtured several Self Help Groups (SHGs) that have matured to be used as vehicles for social and financial interventions. Efforts are on to build Federations and Cooperatives. In Assam two SHG Federations in the Brahmaputra Valley and one in Upper Assam are on the anvil. In Odisha, two community owned and managed Women Cooperatives have been formed under the Odisha Self Help Cooperative Act 2001. Converting RGVN’s Credit and Savings program into UMaSS, a state level primary cooperative has helped become a milestone in the process of women empowerment. It has an active cumulative membership of 2887 and a total portfolio of Rs 119 lakhs (2011-2012). Jagruti Mahila Samabaya Samity Ltd., at Dhenkanal initiated on the same lines is a district level primary women producer cooperative with a total membership of 1058. Its performance in the field of livelihood promotion through organic vegetable farming, mushroom cultivation and spices making has created a brand name at the community level. Its products are available to the community through an efficient distribution mechanism called “BAZZAR ON WHEELS”. Efforts to link the cooperatives with Government programmes that seek to develop such federations and cooperatives are underway. Institutions like Farmers’ Clubs and Village Development Committees that will help facilitate and monitor RGVN’s work are under development. Under the second phase, livelihood options at the household level for agriculture, NTFP, Bell Metal Work (dhokra) and Dairy Farm are under conception. Primary producers will be organized into producers’ groups and cooperatives. There are Project Committees to monitor and supervise the six components under the Livelihood Programme. Each Committee consist of village members, SHGs, resource organizations and RGVN representatives. It is a steering committee that guides and monitors the projects. Formation of Producers’ Collectives in the six supported sectors are being carried out. Once the producers’ groups achieve certain stability in the activity undertaken producer companies in the different sectors will be formed to take charge of their activities. The Lead Crop Project supported by NABARD has a three-tier Institution Building provision. There are Village Level Committees (VLCs) formed by farmers at the village level. At the cluster level, Cluster Development Committees (CDCs) comprise of progressive farmers from the community. Certain guidelines are laid down while choosing the progressive farmers, the first being that they must have irrigation facilities for at least a hectare of land and also own farming tractors. The third committee is the District Level Committee (DLC) formed by Government Officials, the District Agri-Officer and the lead Bank Manager. DLCs advice, monitor and supervise to ensure the participation of all the stake holders concerned.